You might be familiar with Polar if you are a runner, cyclist or into other cardio-centric exercises. If you aren’t, let me introduce you to this new wearable tech that is very stylish. The company’s primary interest used to be exclusively heart rate monitors. 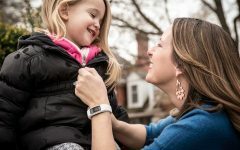 The onset of fitness trackers and smart watches has influenced the company to contribute to the booming industry. With that, I’m going to review one of their latest, the Polar A360 Fitness Tracker. This fitness tracker has the appearance of a large watch. It is available in a variety of colors, and comes in three different sizes. One of the neatest attributes of this watch is that, unlike other fitness trackers, it’s waterproof! This mobile heart rate monitor has all day tracking capabilities, has a user-friendly interface, and a gorgeous color touchscreen. The screenshot seen here is a rundown of your sleep. As you can see, the complete amount of sleep achieved, along with restless and restful sleep durations, are indicated. Unfortunately, it doesn’t come with REM or deep-sleep tracking, nor is there a sleep chronology of any sort. I was less than pleased with this lack of information. I think they see this more as a fitness tracker that also happens to track your sleep – and not the other way around. This is totally fine if you’re only interested in knowing how much sleep you get each night. You don’t have to turn on sleep mode or press any buttons on the Polar – just wear it to bed and wake up with new stats in your app. This fitness tracker is worn just like a wristwatch, and doesn’t inhibit your sleep in any way. We have tried wearing other fitness trackers to bed, and unlike the Polar A360, they felt bulky on our arms, making it hard to fall asleep. In addition to not weighing us down, Polar A360 looks rather aesthetically pleasing. 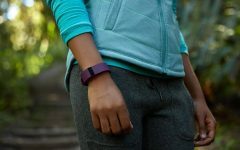 The heart rate feature is being added to more fitness trackers as time goes by. 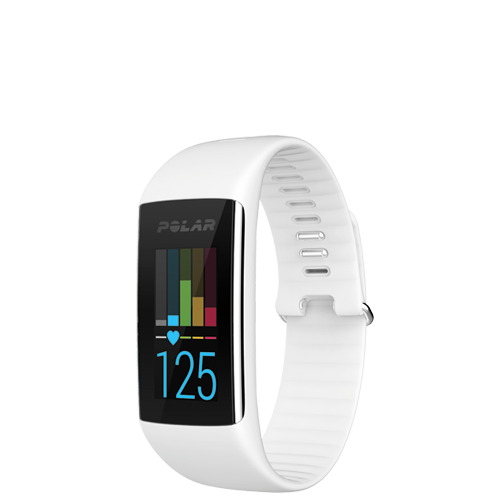 Polar has been in the industry for a while, so if anyone was going to revolutionize heart rate technology, it was going to be them. It’s really nice to see your heart rate while on the spinning bike or after a fitness class. The interface on the actual tracker and the app is easy to read. If you have difficulties with your sight, then you’ll appreciate the clear graphics and large font sizes. Syncing the app was pretty easy as well. As referenced earlier, the amount of restful and restless sleep you acquire each night can be tracked. However, the Polar A360 won’t tell us how much sleep we got, or what time we fell asleep. The Polar A360 costs approximately $199 (although you can find it cheaper on Amazon, making this fitness tracker one of the more expensive ones on the market. 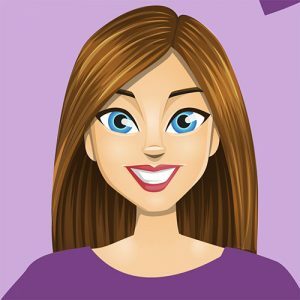 With other fitness trackers, you can at least enter what foods you ate, in order to give you a comprehensive perspective of your sleep, fitness and nutrition levels. You can’t do that with the Polar A360. Ultimately, the Polar A360 does a decent job of monitoring your sleep. I would have preferred to see more detailed data on how much of your night is spent asleep. On the plus side, this tracker and its accompanying app offer an amazing approach to track heart rate trends while you are active. In the end, I gave the tracker away to a friend who is more into fitness and cardio than I am. For me, I wanted to focus on sleep and this wearable simply didn’t perform as well as I would have liked.